In theory, if every grocery store on Earth suddenly disappeared and you were not permitted to consume any meat, you could survive nicely on what is grown in the soil and on trees alone. But would you know how to? New Hampshire is a small New England state in a region of the U.S. renowned for its lovely pine trees, its fall foliage and the allure of the forests at the northern reaches of the Appalachian Mountain range. New Hampshire in particular boosts a number of edible wild plants; although you'll want a field guide handy to confirm the safety of anything you decide to ingest (see Resources for an example), what follows is a starter kit to some of the Granite State's botanical and fungal snack offerings. Things that come from the forest but do not involve the harvesting of trees are considered wild plants, or more formally, non-timber forest products (NTFPs). These include nuts, seeds, berries, mushrooms, oils, foliage and medicinal plants. Many of the wild greens that grow in more open spaces, such as meadows and fields, are edible, especially those growing near woodlands. Among these edible wild plants are dandelions, red raspberry leaves and rose hips. These also grow in other parts of the country, so try to be sure you're looking at an optimal time of year for New Hampshire in particular. Once you travel north of Concord, the state's capital city, almost all of the land in New Hampshire is rural (and much of the southern third of the state is, too). Should you wish to incorporate greens culled from wild plants into a salad, you can consult one of the state's food co-ops for expert help. These greens include basswood, purple orpine, milkweed, black locust and autumn olive. While some of these can be eaten more or less in their native form, others are more useful as garnishes. In addition, while some of these may not be as tasty as others, their medicinal properties, such as powerful antioxidant activity, cannot be overlooked. New Hampshire is a geographically small state, as are its immediate and nearby New England neighbors (especially Vermont, Massachusetts, Connecticut and Rhode Island). These states, being tightly clustered on a map, share essentially the same climate and ecosystems and therefore demonstrate considerable overlap in the wild plants – edible and otherwise – that grow in their forests. Varieties of edible plants that grow throughout northern New England (New Hampshire, Maine and Vermont) include serviceberries, chokecherries, blueberries, scarlet elder, cranberries and ostrich ferns. Mushrooms are not plants, being in a completely different biological category (fungi) altogether. Nevertheless, like plants, mushrooms grow in the ground and on trees, and many have nutritional and therapeutic properties. One of these in the Granite State is chaga, which is very difficult to find as it grows on birch trees and on only 1 in 50 of them at that. On the other hand, you can harvest chaga at any time of the year if you are willing to look for it. Mushrooms are the fruits (that is, the reproductive parts) of fungi. Their function is to produce spores, equivalent to the seeds of plants. Mushrooms play a beneficial role in the environment, aiding in the decomposition of organic material. A number of wild mushrooms are deadly, while others are mildly poisonous; you therefore need to be certain that any mushrooms you collect are edible and that you cook them before eating them. 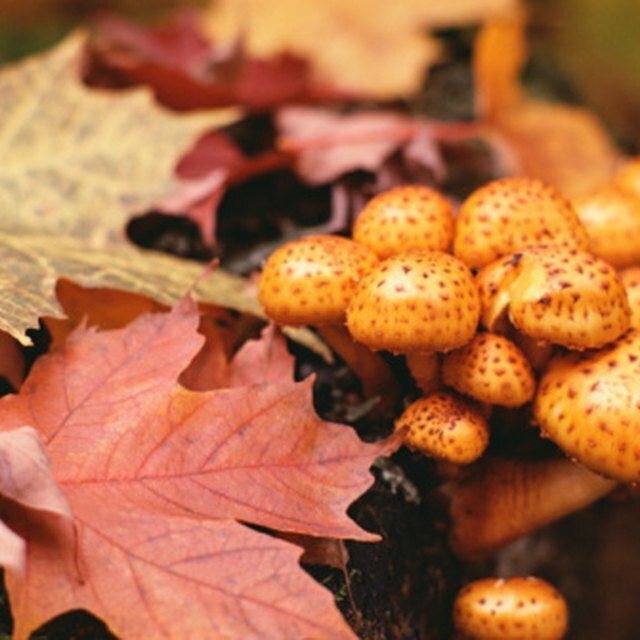 In New Hampshire, there were eight emergency room visits from ingesting wild mushrooms in 2009, 11 in 2010 and over 30 in 2011, so be careful out there! Beck, Kevin. 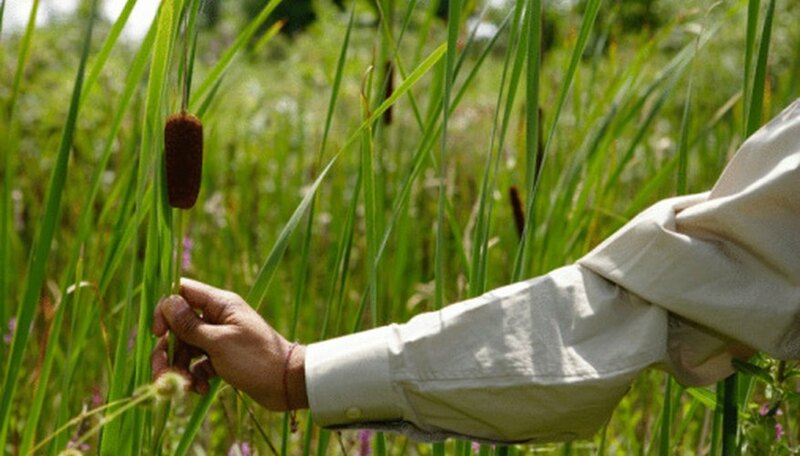 "Edible Wild Plants in New Hampshire." Sciencing, https://sciencing.com/edible-wild-plants-new-hampshire-8276336.html. 26 November 2018.